RESQ Charitable Trust - Awareness programs by RESQCT. Teaching children to be kind to animals today, is the only hope for a kinder world tomorrow. Co-existence is the state or condition of living in harmony despite different ideologies or interests. Since children learn some of the most important lessons of their life in the early years of school, we feel it is one of the best times to impart knowledge about animal-friendly behaviour to further reduce human-animal conflict. We share our ecosystem with animals which is why coexistence is important, for us both. This month at RESQCT we got the opportunity to teach various groups of children about peaceful co-existence and animal-friendly behaviour. Our co-founders Tanya Kane and Neha Panchamiya visited different schools and organisations, namely, Indus International School (300 students), Teach For India (85 students) and IELC Bhosale Nagar (35 Students) to converse with their students personally and spread the message of reducing human-animal conflict. 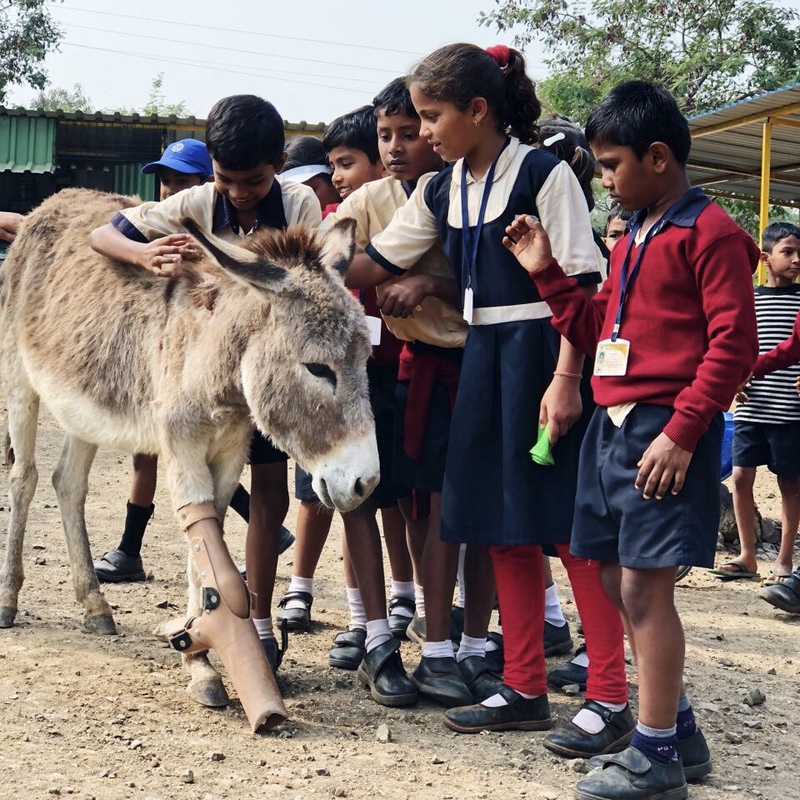 The students were shown a presentation and explained the work done by RESQCT of providing aid to injured animals, in a two-way interactive session. In these sessions, we aimed to teach the children a peaceful and loving attitude towards different animals. With the help of various slides, facts and real-life incidents, the students were taught how to react when they are approached by various animals like dogs, cows and birds. The best example to teach the kids about the same is by the four L’s, namely: Look at them, Learn about them, Leave them alone, Love them. The best part about conducting these sessions was that every child was extremely enthusiastic and inquisitive to learn more and more about their favourite animals. One of the dogs rescued by RESQCT- Yuki (an abandoned boxer, who came in suffering from a prolapsed uterus and got adopted, once recovered, by Tanya herself) made an appearance in a few of these sessions to give a chance to the students to interact personally with an animal. Awareness is the greatest agent for change! Learning to coexist, helps develop the minds of the children and change their perspective towards the animals in their surrounding. They become more kind and compassionate which is a key factor in a good personality as well.